We spent one chilly June day in London, touring the city by bus and boat. 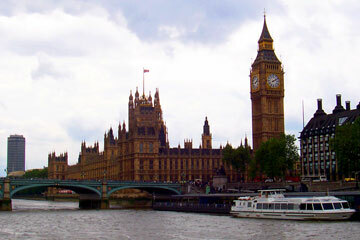 This is Westminster--the Houses of Parliament, and the Tower of Big Ben. 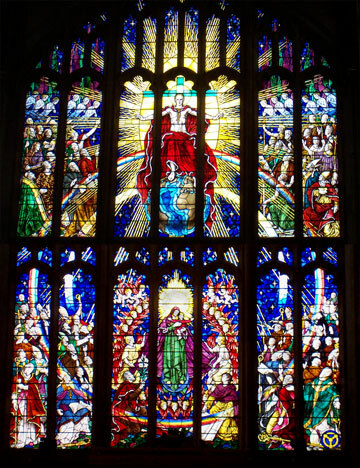 In beautiful Holy Trinity Church (near the Coventry Cathedral), you can find this huge, beautiful window. Although we have seen scores of stained-glass windows, Michael says this one has been his favorite for many years. It shows both angels and noted leaders from throughout history worshipping the risen Savior of Mankind: Jesus Christ. The central figures (Jesus above, and his mother Mary below) are life-sized, so this tiny photo hardly does it justice! 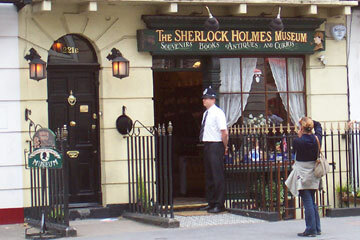 We thought our students would like to see a typical British neighborhood. 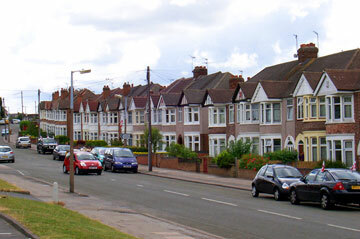 Michael spent a lot of time on this street while working in Coventry (1981-82). 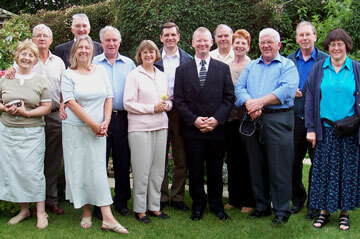 One of the highlights of our trip was Michael's reunion with many dear friends in Coventry. It's hard to believe that many of the children he used to teach and play with now have kids of their own! 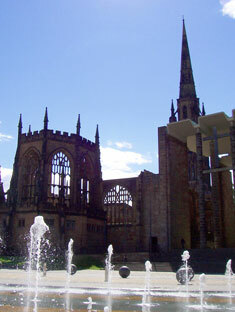 During World War II, Coventry's historic cathedral was burned in a German bombing raid (you see the shell on the left). After the war, a new cathedral was built next to it, in part with the help of people from Germany. 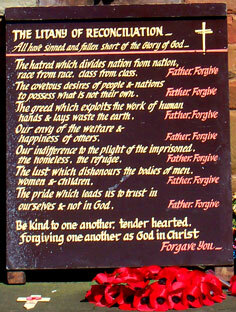 Thus, the church has come to symbolize reconciliation. The center photo shows a famous plaque in the old cathedral shell, containing a beautiful prayer for forgiveness from the Heavenly Father. 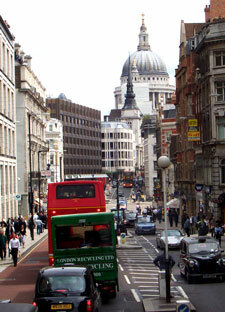 On the right you can see another famous Cathedral: St. Paul's in London (which miraculously survived WWII).